"With our early bird special, it's not so hard to get out of bed in the mornings." "@MidwesternMind thanks for stopping by!" "Win their heart with one plate." "We have something for everyone at Mr. Mamas! Stop by and try our new Black Bean Veggie Burger plate." "Makes you want to say, "Be mine," doesn't it?" Yes, I'd like to receive news from Mr. Mamas Breakfast and Lunch. 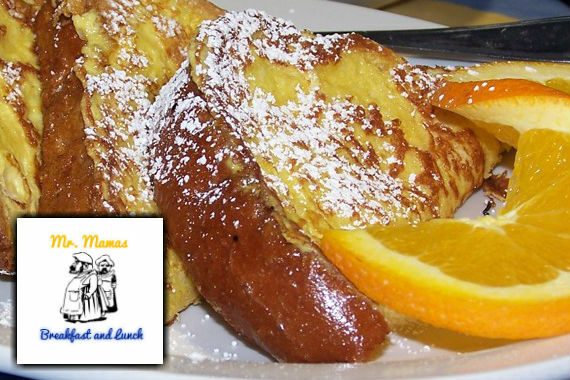 Sign up for the Mr. Mamas Breakfast and Lunch Newsletter!